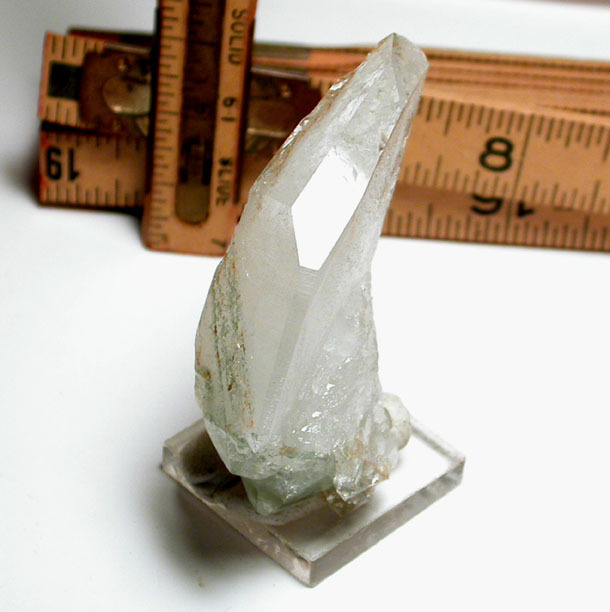 Dreamy, veiled, contacted 1/2x 1-1/4x 2-3/4" Arkansas rock crystal is multi-doubly-terminated with a long skewed Isis face at one termination, and multi-points with clear bright green chlorite phantoms [rare] at the other. One broad side has textural, stepped regrowth with further khaki and green chlorite inclusions and there's a green chlorite stripe up another. 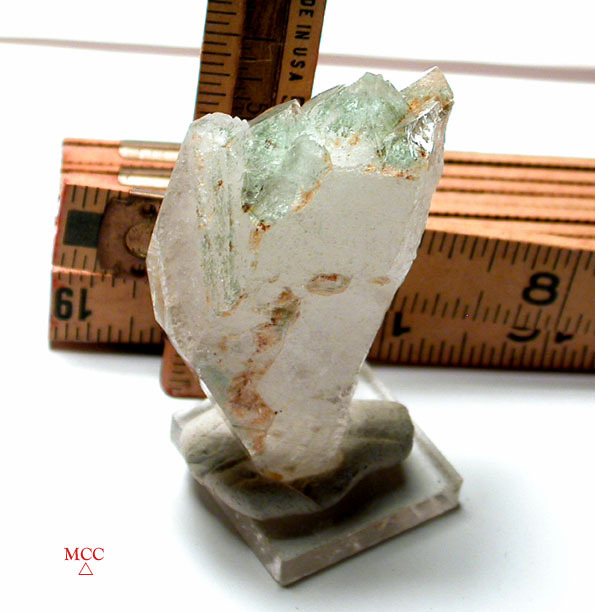 The opposite broad side and curved thin back side show regrowth from contact. Rainbows, raised record keepers - feels just great in the hand!